ROCKVILLE, Md., Oct. 4, 2017 — All nine members of the Montgomery County Council sent a letter asking Benjamin H. Grumbles, Secretary of the Maryland Department of the Environment, to help reduce toxic coal waste from the Dickerson power plant and other coal-fired plants in the State. In a letter to Grumbles, the Councilmembers asked State officials to abide by current standards adopted by the federal EPA in 2015 when they renew the water pollution permit for NRG Energy Inc.’s Dickerson Generating Station on the Potomac River in northwest Montgomery County. Coal plants are the number one source of toxic water pollution in the country. 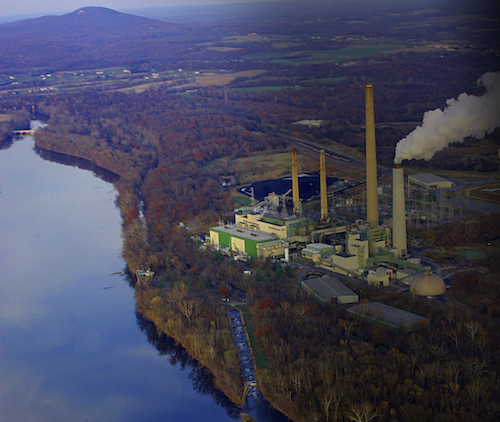 The standards in the federal water pollution permit that the Maryland Department of the Environment proposes to renew at Dickerson and two other coal plants in the state are 35 years old. After investigating the impact of toxic discharges from power plants into waterways for six years, the EPA in 2015 issued new requirements under the Clean Water Act. President Trump’s EPA put a hold on the improved requirements this year, but the County Council is urging the State to implement the new requirements immediately. Other coal plants in the country have reduced or eliminated their discharge of these toxins into waterways, and Maryland’s should too, Hucker said. Read the full letter to Secretary Grumbles here.